How does Obama justify killing innocents this time? But in that same speech, Obama essentially said “too bad” when it comes to civilian casualties caused by drone strikes. “I must weigh these heartbreaking tragedies against the alternatives.” So I wonder, now, if Obama is weighing the heartbreaking tragedy that he ordered last week against the “alternative,” namely, putting an end to these assassinations by remote control. What does it say about America’s $80 billion-plus intelligence system, including the all-powerful National Security Agency, if it can’t distinguish between a terrorist and a wedding party? Who, indeed, was the supposed target of this drone strike, and what exactly was he planning to do, that made it so important to try to assassinate him? Was he some kingpin plotting another 9/11, or just some mid-level bad guy like the dozens upon dozens of others that the United States has blown to pieces after the killing of Osama bin Laden made Al Qaeda a nearly destroyed entity? If US intelligence is so poor, it’s way past time to stop these attacks. And he said that each and every strike would involve extensive review, and that information would be provided to Congress. “Let me repeat that: Not only did Congress authorize the use of force, it is briefed on every strike that America takes. Every strike.” And this one? Some of the people involved may have been members of tribes in Yemen linked to Al Qaeda, according to The New York Times. (According to the Los Angeles Times, which reported that seventeen died, “Five of those killed were suspected of involvement with Al Qaeda, but the remainder were unconnected with the militancy, Yemeni security officials said.”) But in Yemen’s chaotic, tumultuous tribal politics, there are countless violent actors and many who’ve identified with Al Qaeda simply because it’s the biggest, baddest gang in the area. (It’s not unlike the way many youth, in inner cities, become gang members for reasons of status, self-protection or self-respect.) But I don’t believe for one second that American intelligence is anywhere good enough to determine whether or not some people thousands of feet below a hovering drone are really worth targeting them for assassination—even leaving aside the constitutional, legal, moral and international-law aspects of the whole drone program. More than a dozen dead, many more injured, and an unknown number of survivors whose lives have suddenly taken a nightmarish turn the likes of which we cannot imagine, and all for the sake of five people suspected of ties to al-Qaeda. How many actual al-Qaeda terrorists would we have to kill with drones in Yemen to make the benefits of our drone war there outweigh the costs of this single catastrophic strike? If U.S. drone strikes put American wedding parties similarly at risk would we tolerate our targeted-killing program for a single day more? Our policy persists because we put little value on the lives of foreign innocents. Even putting them through the most horrific scene imaginable on their wedding day is but a blip on our media radar, easily eclipsed by a new Beyonce album. Yemen’s parliament has stepped up pressure on the government to immediately end American drone strikes amid furor over an attack that officials said mistakenly killed 15 people in a wedding convoy. However, President Abed Rabbo Mansour Hadi, who has the final say, isn’t likely to tell the U.S. to shut down the drone program because his impoverished government needs the American funding attached to it. … Last year, the U.S. provided nearly $350 million to Yemen’s government, split between military and civilian aid, U.S. officials said. 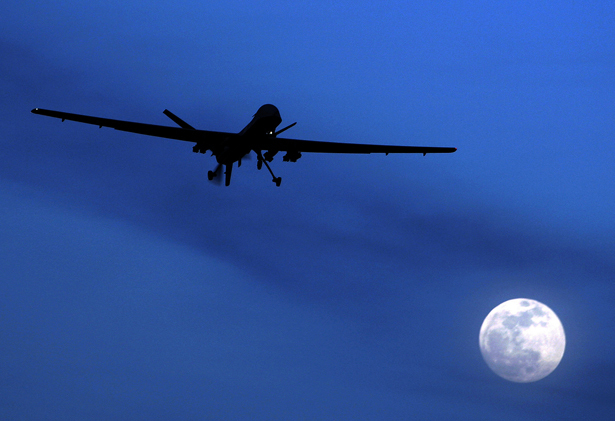 That was up from $28 million in 2008, before the U.S. drone program resumed after a six-year hiatus. So the going price for a poor country to allow the United States to blow its citizens to smithereens is, apparently, $350 million.